With the championship fight ending earlier than expected, 2018 could sadly end up as one of those seasons which ends up being a bit forgotten. If that is the case then it would be incredibly unfair, because this year has had quite a lot of seriously good races. Sure, it’s had some bad ones too, but which year hasn’t? 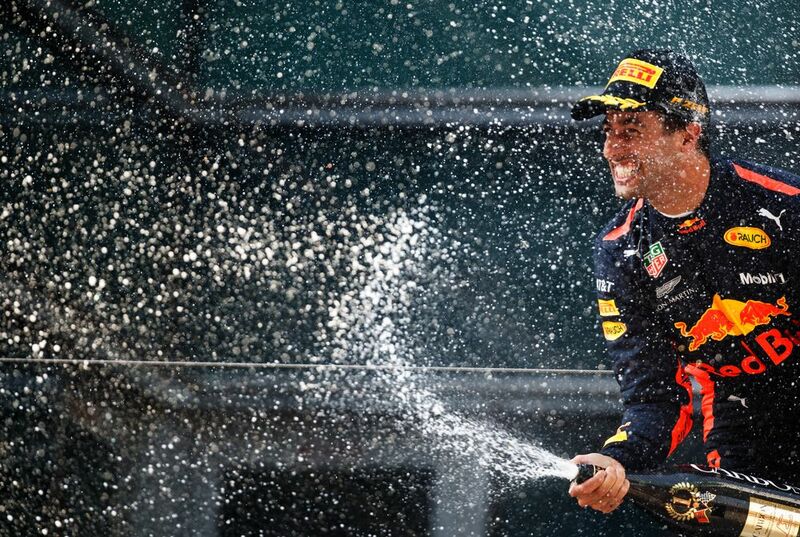 For a bit of fun, we’ve had a go at ranking the grands prix this season from best to worst. 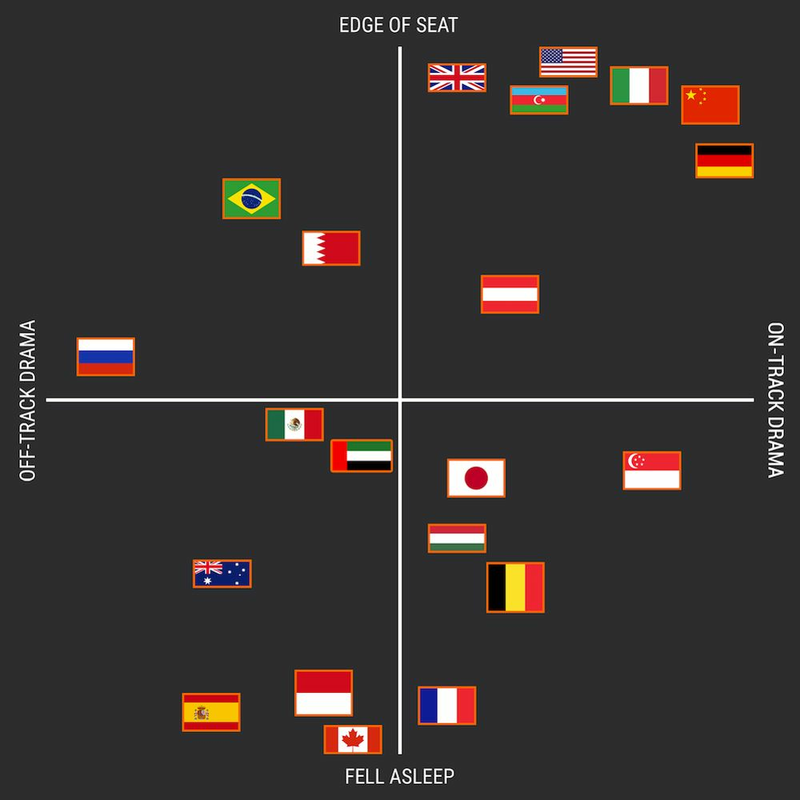 As a bit of a preview, we’ve made this handy chart to display whether we thought races were exciting or boring, and whether the drama came on or off of the track. How does that correlate to our full rankings? Well, read on and find out! As well as provoking a bit of discussion, hopefully it’ll remind you that actually, 2018 has had more than its fair share of terrific races and should go down as one of the sport’s better seasons. Let’s crack on. Best race of the year? Absolutely. Three drivers from three different teams battling for the win on three very different strategies was absolutely gripping stuff. 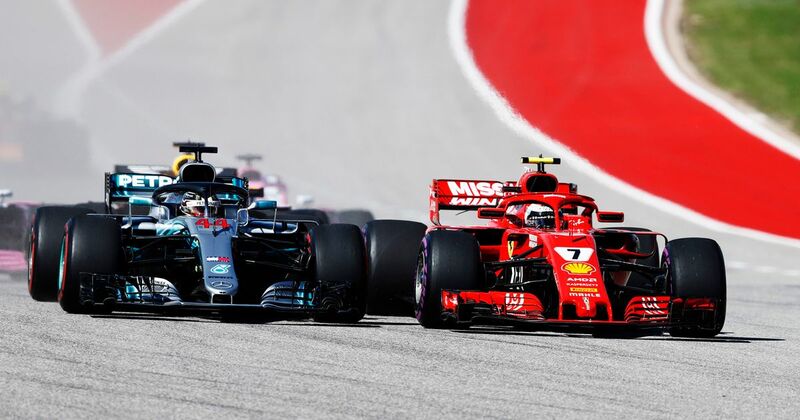 Kimi Raikkonen’s defence against a much faster Lewis Hamilton at a critical point in the race was superb, proving that overtaking isn’t the be-all and end-all of motorsport excitement. Plus, the sheer fact that Max Verstappen not only rose from 18th to second, but looked able to win was a surprise few would have seen coming. There was also the drama of Sebastian Vettel messing up an overtake (again) on Daniel Ricciardo and fighting back to beat Valtteri Bottas. With Kimi finally taking his first win in over five years, too, we had probably the most universally popular race winner in years. A classic? Absolutely. Was the British GP exciting from start to finish? No. But once the safety car came out to clean up the mess of Marcus Ericsson’s Sauber and then Romain Grosjean’s accident with Carlos Sainz, the whole thing just exploded. 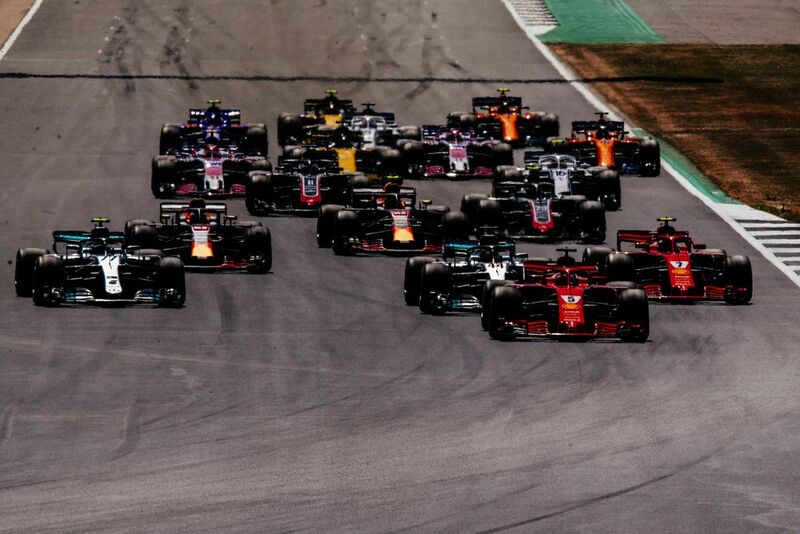 Verstappen and Raikkonen had a sensational battle through Brooklands, Luffield, and Copse, while Vettel’s attempts to pass Bottas on fresh rubber were taking longer than expected. If he couldn’t make a move stick soon, he’d lose the best of his tyres and passing would become harder. With six laps to go, however, he launched a lovely move up the inside for the lead and shot off to win. Bottas’s tyres had cried enough and he lost second to Hamilton (who’d come through from the back after being spun by Raikkonen on the first lap) and then dropped to fourth behind Kimi. Verstappen’s podium potential came to an end when his brakes failed with just a few laps to go. Even the midfield scrap was excellent, with Nico Hulkenberg just holding off Esteban Ocon for sixth and Fernando Alonso pinching eighth from Kevin Magnussen on the last lap. First, there was Kimi’s shock pole. Next was the collision between Vettel and Hamilton at the second chicane. Then came the epic race-long battle for victory between Raikkonen and Hamilton. Hamilton took the lead from Raikkonen on lap four and it looked like that would be the end of it. But no! For the first time in what seems like years, Kimi remembered how to fight and snatched the lead back a few corners later, triggering the kind of enormous roar that only the Tifosi at Monza can produce. When it came to the pit stops, Ferrari blinked first and brought Kimi in from the lead, who then pushed like crazy to prevent Hamilton from getting the overcut. It worked - but he was now on worn tyres with Hamilton on fresh ones. With nine laps to go, Hamilton made his move and this time it stuck. 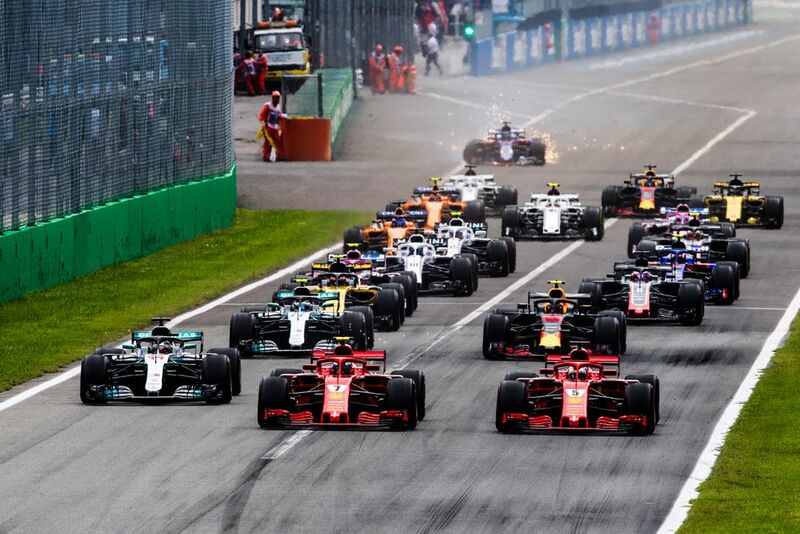 Behind the leaders, Verstappen was doing his best to hold off Bottas for what would have been a fine podium, only to squeeze the Mercedes driver a bit too much, earning himself a penalty. And after the race there was off-track drama, too - Romain Grosjean was disqualified from sixth place, handing Sergey Sirotkin his only points finish of the season. For quite a long time, the Chinese Grand Prix was quite boring. The deployment of the safety car to clean up the debris from the two Toro Rossos colliding changed all that. 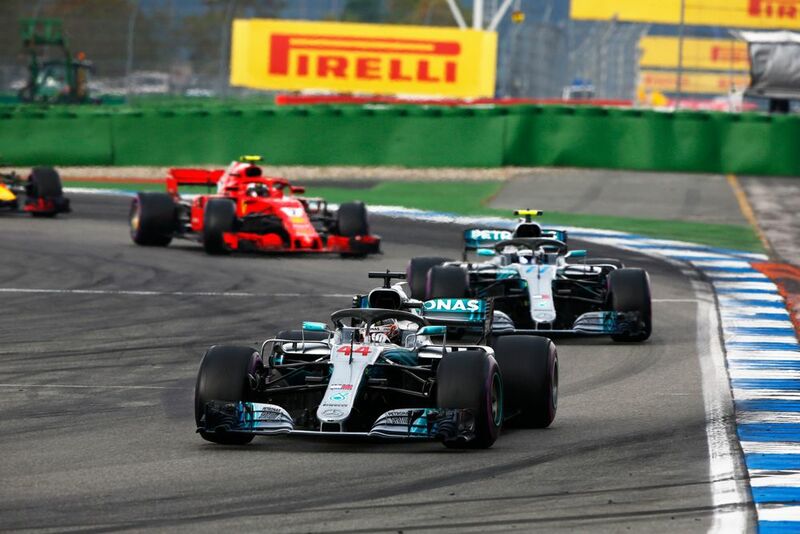 Valtteri Bottas had taken the lead from Sebastian Vettel during the pit stops but because of the timing of the safety car, they couldn’t take the benefit of a ‘free’ stop for new tyres. Hamilton and Raikkonen could have done - but didn’t - with only the two Red Bulls opting to take the gamble. 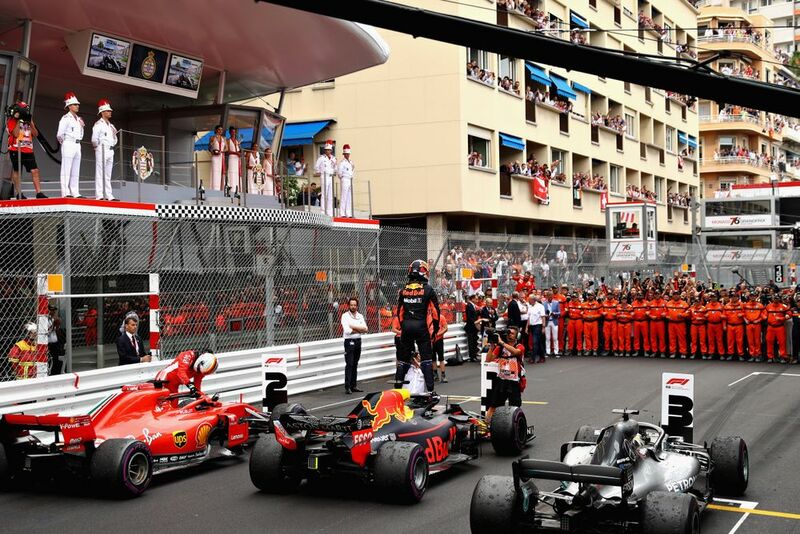 Verstappen was in prime position to grab the win, but succeeded only in running off the track trying to pass Hamilton and then clumsily barging into the side of Vettel, spinning the pair of them. This set the scene for a vintage Ricciardo charge as he rocketed his way past everyone, the pièce de résistance being a beautifully judged lunge for the lead on Bottas. In terms of style, the race was a bit of a throwback to the ultra high degradation tyres from 2011-2013, when it was sometimes better to give up track position in favour of better tyres. Sure, it took a well-timed safety car for it to happen, but the end result was still a damn exciting race. 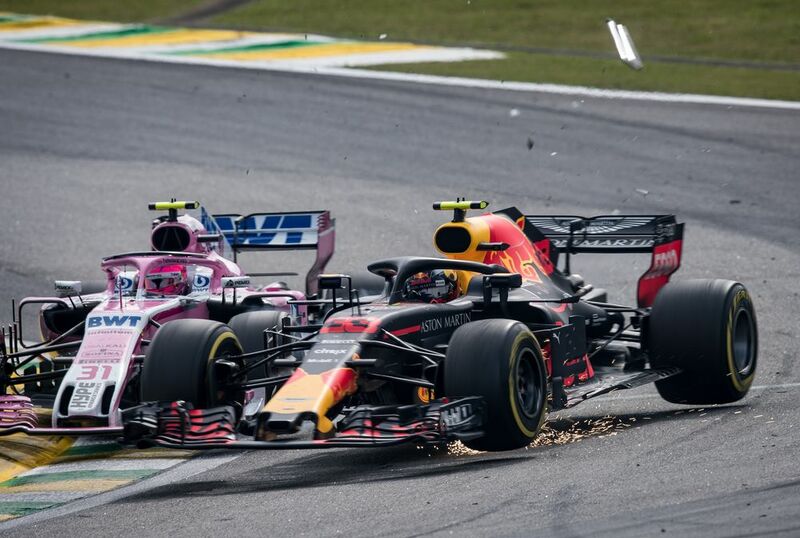 The start was chaos, the end was chaos, and there was a quality battle between the two Red Bull drivers which kept the slightly less chaotic middle part of the race from slipping into snoozefest territory. Just as in 2017, it was a race in which many people could have got better results. Vettel could have won if not for the safety car, Bottas could have won if he didn’t get a puncture, Esteban Ocon could have got a podium if he hadn’t crashed into Raikkonen on the first lap, Nico Hulkenberg could have got a podium if he hadn’t crashed all on his own (again), and Caterham could have scored its first points if it was still an F1 team. 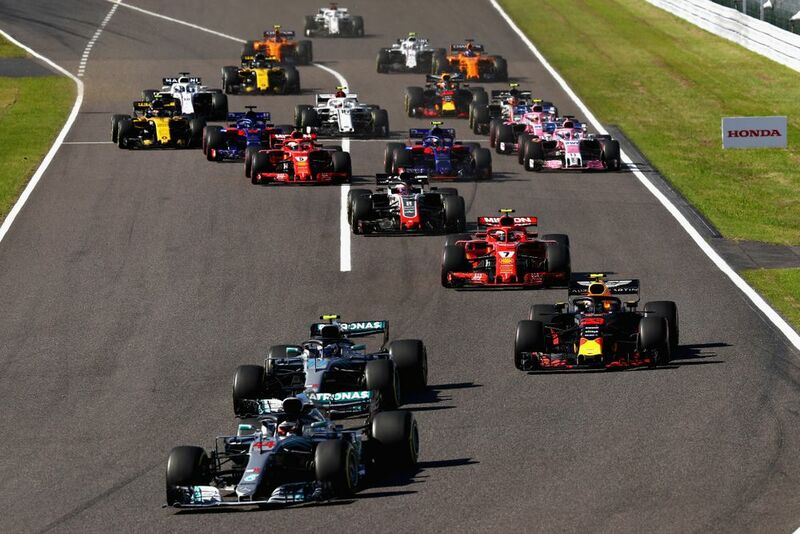 There was also the drama of the two Red Bulls hitting each other, Kevin Magnussen forcing Pierre Gasly into the wall at 200mph, and Fernando Alonso completing the first lap on two wheels and still finishing seventh. A quality race all around. A little rain always helps a race become exciting, doesn’t it? Even so, with Vettel on pole and Hamilton starting 14th nobody would have expected the end result of Hamilton actually winning and Vettel stuffing it into the barriers, completely on his own. 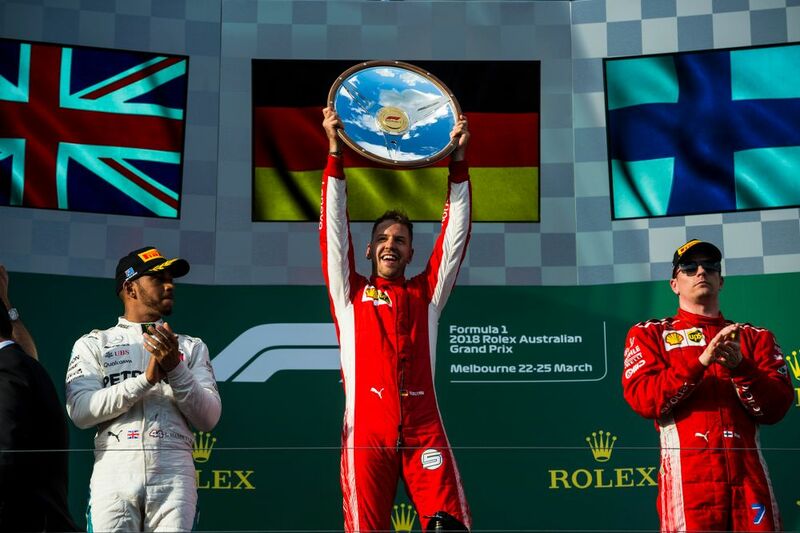 There was also plenty of controversy as Ferrari cost Vettel time by delaying its use of team orders, Hamilton going into the pits and then ducking out at the last moment, and Mercedes preventing Bottas from challenging for the win. All of those things help make a race exciting and interesting, but not necessarily in a positive way. Bahrain was one of those races that was so good because the teams didn’t seem to know what the best strategy was. At first, you had Vettel leading on a two-stopper and Bottas second on a one-stopper, but Ferrari realised its strategy wasn’t going to work. Vettel then switched to a one-stop, which meant stretching the life of his soft tyres way longer than anyone had expected. In the closing stages Bottas carved into Vettel’s lead, giving him the opportunity to make a pass for the win on the final lap. The Mercedes driver was perhaps a little bit cautious, however, and Vettel just held on to take a remarkable win. Pierre Gasly finished a fine fourth for Toro Rosso and quoted Fernando Alonso in the process - a cheeky joke about how well Honda appeared to be doing - and Ericsson scored his first points for over two and half years. Oh yeah, and in the cooldown room, Hamilton referred to Verstappen as a ‘dickhead’ after the two had touched earlier in the race. It provided a lot of talking points, and that’s always a good thing. It’s not often that a driver goes from fifth on the grid to the lead by virtue of on-track overtakes alone, yet that’s exactly what Verstappen somehow managed in Interlagos, despite a horsepower deficit. He was set to take one of the best victories of the year when Ocon tried to unlap himself and succeeded only in crashing into his former F3 rival, costing him the lead and the win. Even at that point there was a chance Verstappen could still have won. Despite a damaged car he was still faster than Hamilton, who was struggling with both tyre and engine issues, and finished just 1.4 seconds behind. Maybe if he’d pushed a bit harder he could have managed it - and by that we mean he could have managed to knock Ocon over in scrutineering, not beaten Hamilton to the win. There was a lot to like about the Austrian GP. 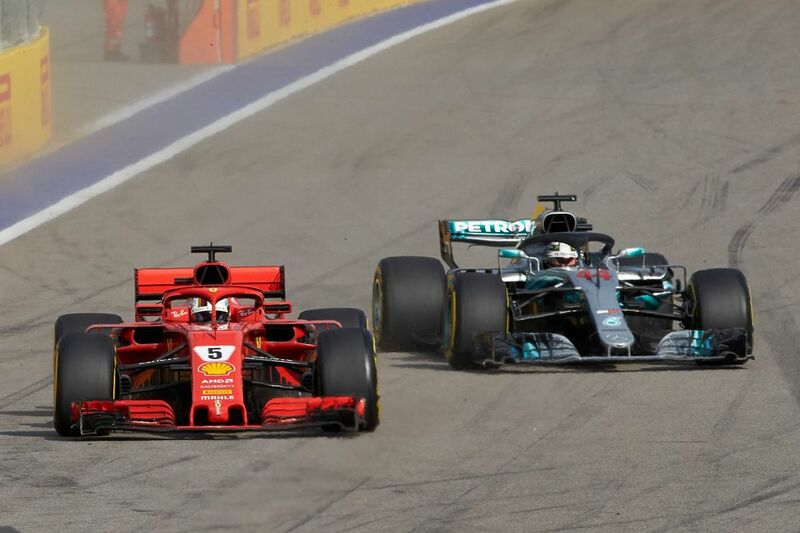 There was a brief (but brilliant) battle between Vettel and Hamilton, and the combination of badly blistering tyres and an ill-timed VSC made for some interesting strategy calls. Mercedes got it very wrong, leading to plenty of complaining over the radio from Hamilton - not that it mattered as both cars dropped out of the race with rare technical failures. 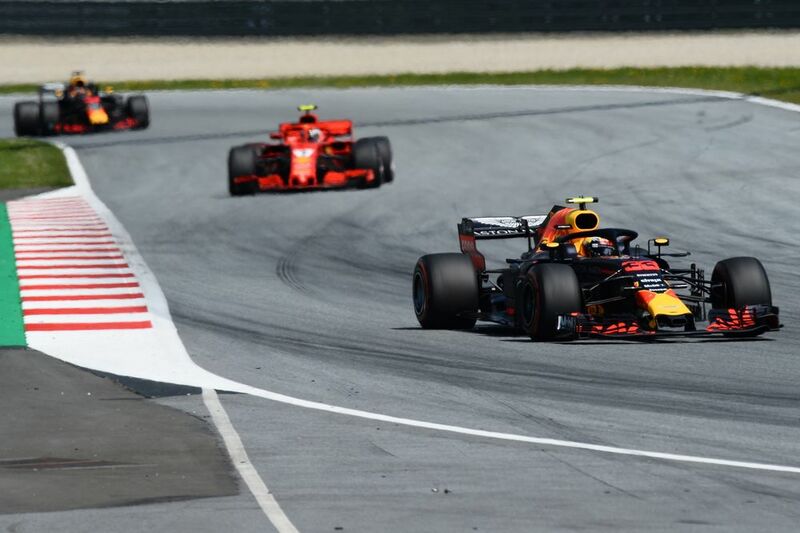 In the closing stages things got exciting as both Ferraris deployed some impressive pace, but Verstappen had nursed his tyres to perfection to grab victory. You couldn’t help but be happy for Romain Grosjean, who scored his first points of the season in fine style by finishing fourth to score Haas’s best-ever result. Mexico was a bit of a weird race in that there were so many tyre issues happening that we’re not sure if it made the race good or bad. Drivers made anywhere from one to three stops which made the fights at the front somewhat difficult to read and eventually fade into nothingness. The only exciting scrap was when Vettel used fresh tyres to hunt down Ricciardo for second in the closing stages, but even that came to nothing when Ricciardo’s car broke down… again. Abu Dhabi provided us with a rather interesting race this year as an early VSC pit stop for Hamilton gave him track position but left a question mark over whether his tyres would last. Ricciardo went for the opposite strategy and stopped late, which could potentially have set the scene for another Chinese GP-style ending. 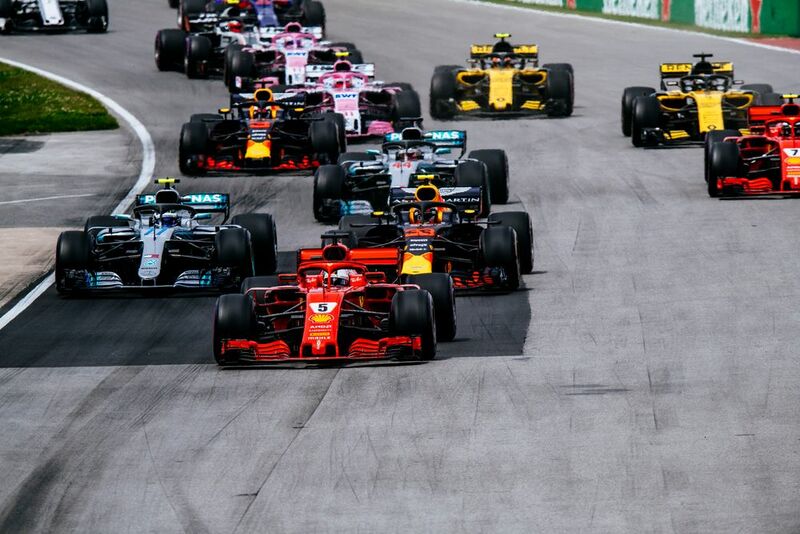 However, although Vettel closed in on Hamilton and despite Ricciardo having fresher tyres, it didn’t really amount to the grandstand finish we were expecting. 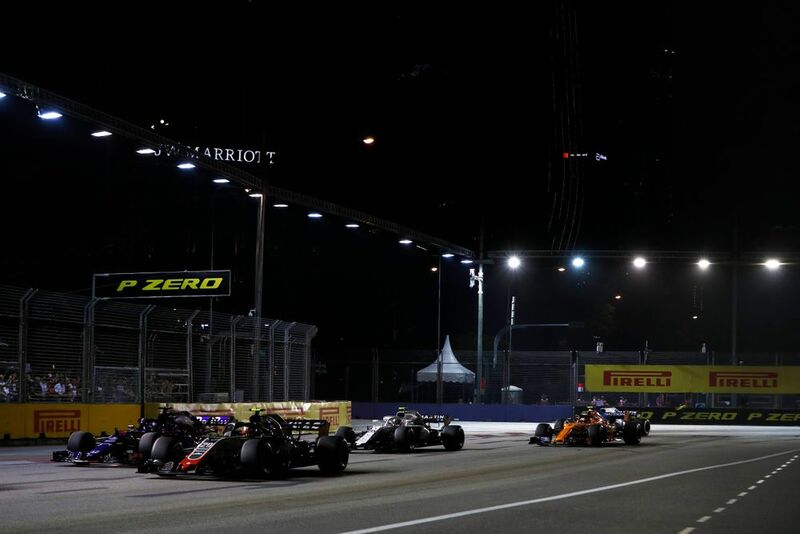 The midfield provided plenty of action, not least from Fernando Alonso, who said ‘screw it’ and started deliberately cutting corners to try and steal the final point from Kevin Magnussen in his last grand prix. It didn’t work, but the guard of honour and celebratory donuts at the end of the race more than made up for it. For once, Sochi actually provided a half-decent race. 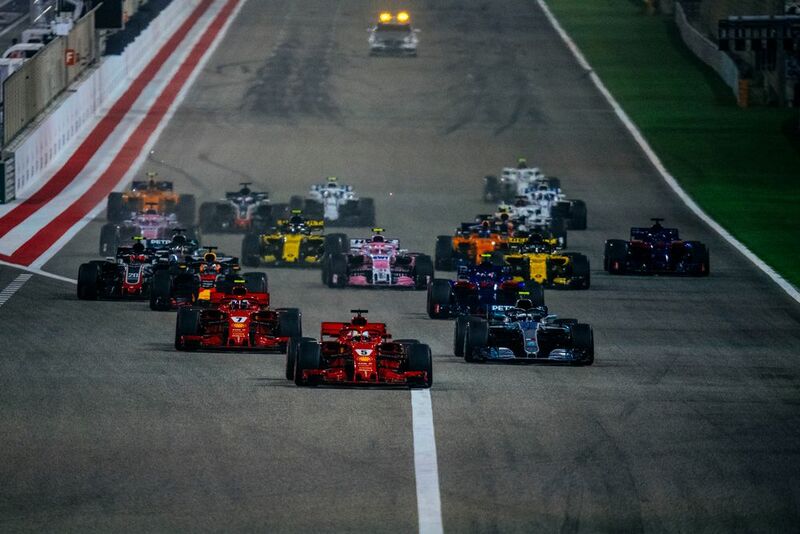 Bottas, Vettel and Hamilton all looked like potential candidates for the win, Max Verstappen went from 19th to seventh in five laps and ended up leading most of the race, and the two title rivals had a brilliant on-track battle. In fact, the Russian GP would probably be a position or two higher were it not for two words: team orders. Yes, it made sense for Mercedes to make the switch at the time. But unless its a literal title decider, a race where a driver has to give up the win for their teammate is never going to leave you with the feeling that you’ve just watched a brilliant grand prix - especially when Bottas had endured such bad luck at the start of the year and was deserving of victory. 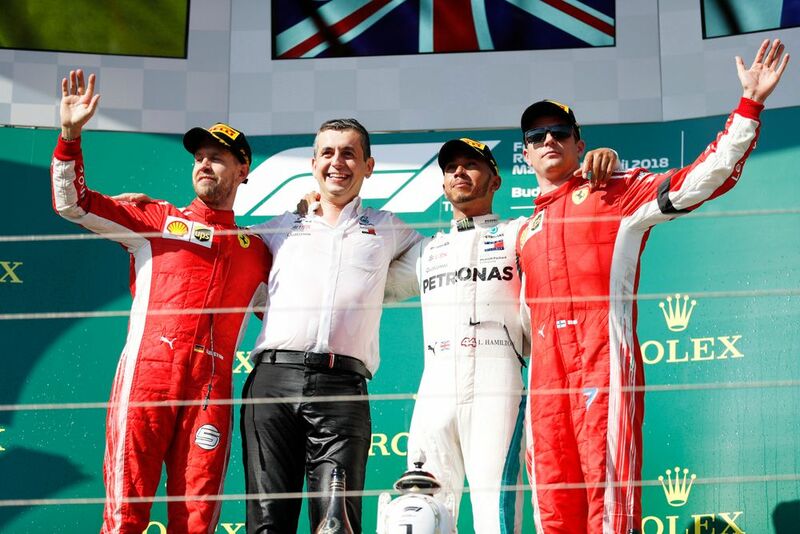 “Boredom the winner in Singapore”, read Ferrari’s report on a race in which Lewis Hamilton and Mercedes completely outperformed a sub-par and clearly unhappy Scuderia. And sure, things at the front were a little bit boring. However, thanks to Sergey Sirotkin, the midfield was a little more interesting. In one of the few occasions in 2018 where a Williams was actually able to race with other cars, Sirotkin made the most of it. For several laps he superbly defended against a string of cars, including the much faster Force India of Sergio Perez. Even when Perez finally got past Sirotkin fought back, leading to a bizarre moment of contact which looked deliberate, but wasn’t. Oh yeah, and this was the same race where Perez inadvertently punted his teammate out on the first lap, adding to the drama. Sirotkin, meanwhile, continued his stellar defensive driving, battling with Grosjean in a fight which almost cost Hamilton to lead to Verstappen. He was later penalised for an incident with Brendon Hartley but we’ll forgive him for that - he almost single-handedly made what could have been one of the worst races of the season a touch more memorable. The Japanese GP had a couple of early highlights. 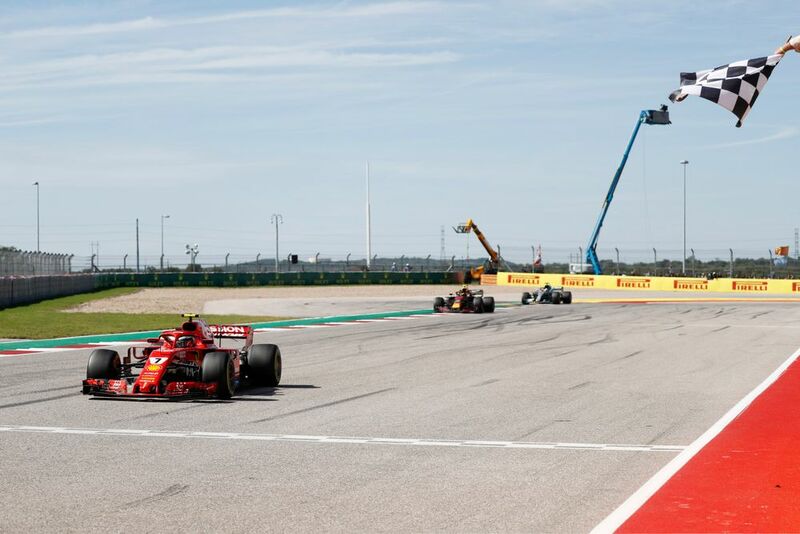 Verstappen made contact with Raikkonen at the chicane, Alonso rallycrossed through the gravel after being forced off by Lance Stroll, and Kevin Magnussen and Charles Leclerc made contact on the straight as a result of some aggressive defending. Then Vettel went for a crazy lunge on Verstappen which - of course - didn’t work, and he dropped to the back. 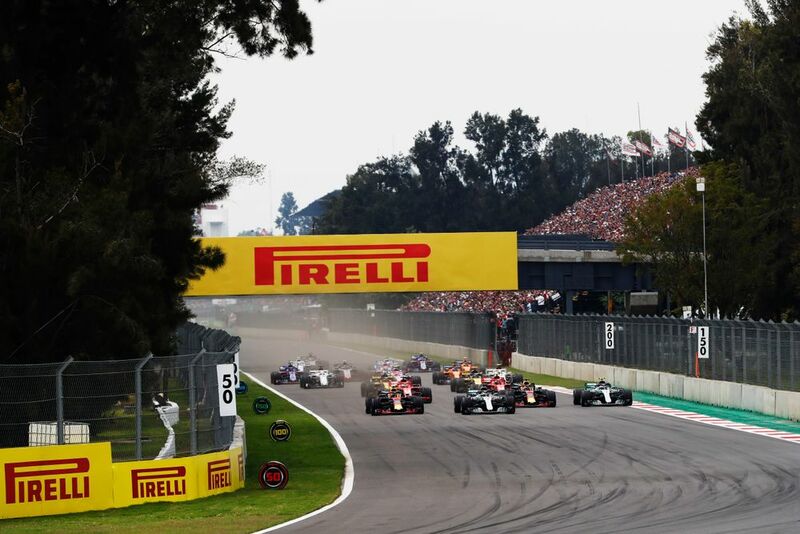 Perez and Leclerc pulled off some epic overtakes in the midfield, and Verstappen got close to Bottas for second in the closing stages, but after the opening laps the race had settled down into something rather dull. 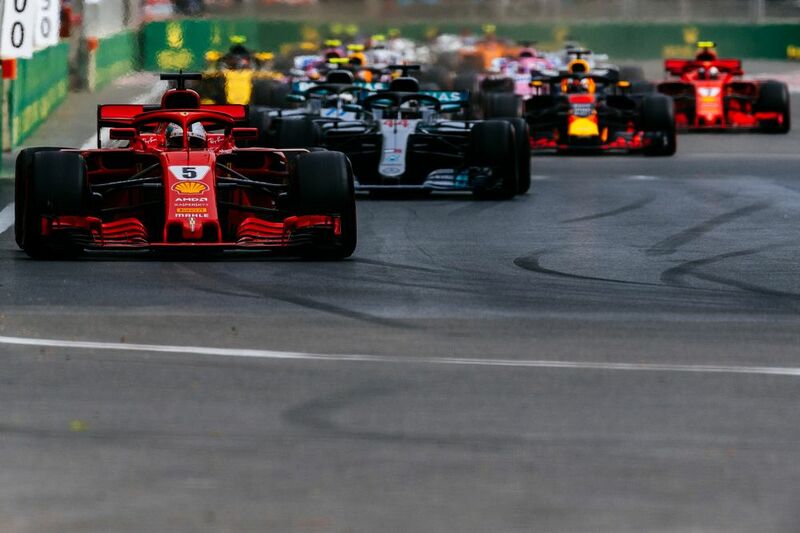 The combination of Vettel losing out in the wet qualifying session, having traffic on his in-lap and then a slightly slow pit stop meant that he couldn’t fight Hamilton for the win. Instead, he spent most of the race bottled up in third behind Bottas, which didn’t make for particularly exciting viewing. When he eventually got past he was lucky to stay there as Bottas then ran into the back of him at Turn 2, damaging his front wing. Bottas later collided with Daniel Ricciardo in what was a clumsy race for the Finn. The race was made all the more frustrating by the fact that he seemingly would have had the pace to challenge Hamilton if the strategy had worked out. You could say that it left us all Hungary for more. Albert Park doesn’t always give us the most exciting races and this year’s race was only saved from being lower by a well-timed VSC. That handed Vettel the lead of a race Hamilton seemed certain to win. It also treated us to the sight of a confused and frustrated Hamilton pushing as hard as he could to get back ahead - only to run off the track in the process. Verstappen had an adventure with a spin and there was heartbreak for Haas as both cars dropped out of strong positions with the same pit stop error, but other than that? Not much really happened. Oh yeah, Alonso finished fifth in McLaren’s first race with Renault power, giving us all some false hope to enjoy for a little while. 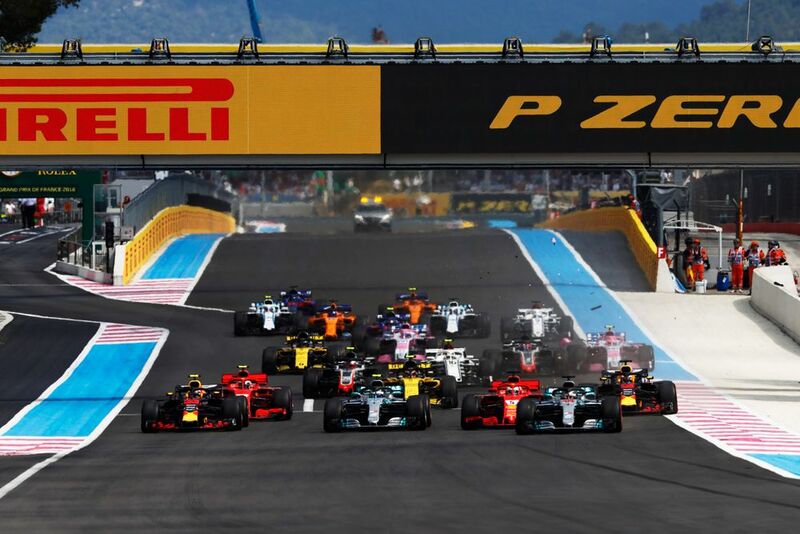 F1’s return to France and the Paul Ricard circuit was a nightmare for fans getting to the circuit and when they did finally get there, the race they were treated to could best be described as ‘OK’. Sure, Vettel clouting Bottas and the first corner meant we could to see two cars fight through from the back. It didn’t make for the most exciting viewing, though, and we were left waiting for the threat of rain to spice things up. However, we were all expecting the race to be an overtaking-free procession and it wasn’t - so in some ways, the action we did have was actually a pleasant surprise. 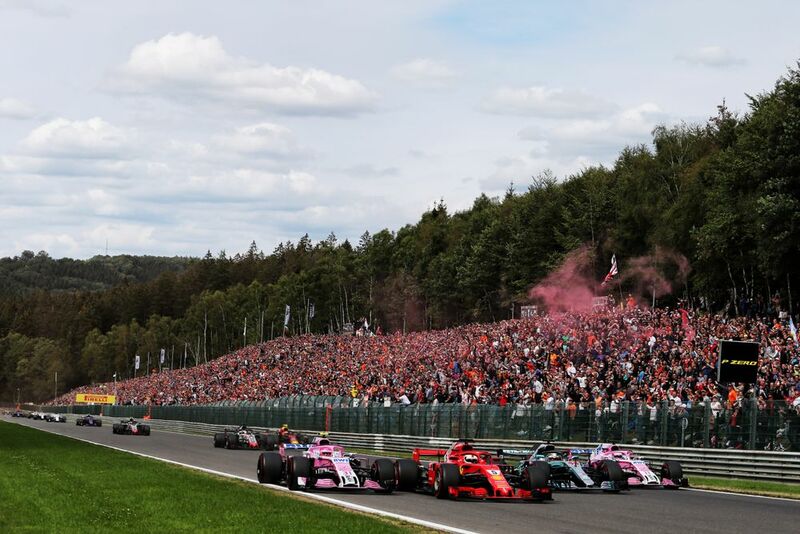 Basically all the excitement of this race was crammed into the first lap as five cars were involved in the first corner crash and Esteban Ocon almost took the lead heading into Les Combes. After that…? Yeah, not a lot happened. There was a vaguely interesting battle between Ericsson and Hartley and the good news story of Force India finishing fifth and sixth just a few weeks after entering administration put a smile on everyone’s face but generally speaking, it was quite a dreary race. Yes, Ricciardo drove brilliantly and yes, waiting to see whether his car would make it to the end brought about an element of tension. The problem is that once the race was over all that tension was lost, and you realised you just watched a man win a race in a seriously broken car and not really come close to being overtaken at any point. 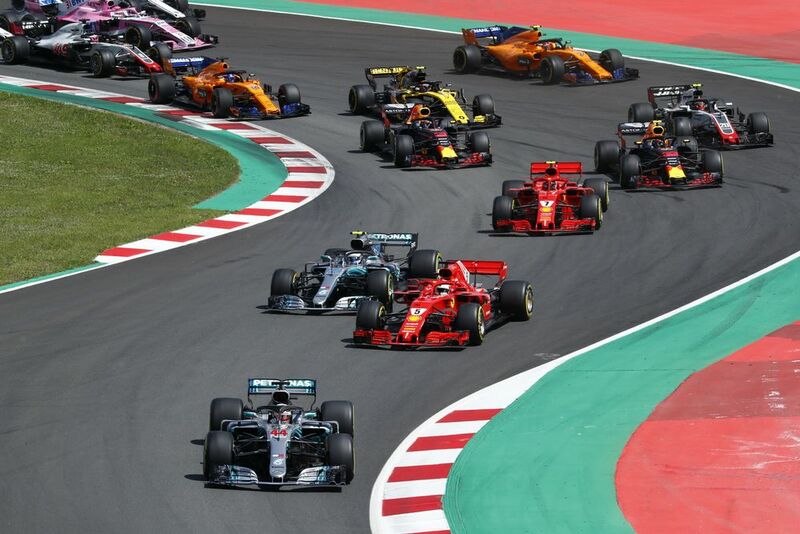 After a few years of Catalunya producing surprisingly entertaining races, the 2018 Spanish GP was back to being the kind of boring processional race everybody thinks it produces all the time. Seriously, apart from Grosjean deploying a smokescreen on the first lap and controversy over Pirelli tyres favouring Mercedes, can anyone actually remember anything that happened? Canada was so bad this year that even the officials had enough and threw the chequered flag out two laps early. Sure, there were some memorable moments, like the Stroll/Hartley crash on the first lap, but even those aren’t enough to elevate the race off the bottom of the rankings. Here’s why. Instead, we got a race filled with nothing but those awful CGI Heineken stars. You might expect that from the Hungaroring or Sochi but not from Canada. This race betrayed us - and it sticks out even more in a year which produced so many thrillers. Here’s hoping the Canadian GP is back to normal in 2019.